Heat oven to 350°F. Spray cookie sheet with cooking spray. Bake French bread as directed on can. Meanwhile, in 12-inch nonstick skillet, melt 1 tablespoon of the butter over medium-high heat. 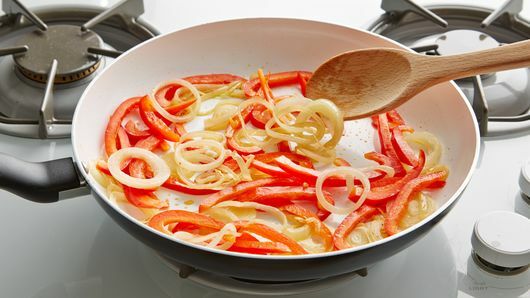 Add onion and bell pepper; cook 6 to 8 minutes, stirring frequently, until vegetables are tender. Remove vegetables from skillet; set aside. In same skillet, melt remaining 1 tablespoon butter over medium-high heat. 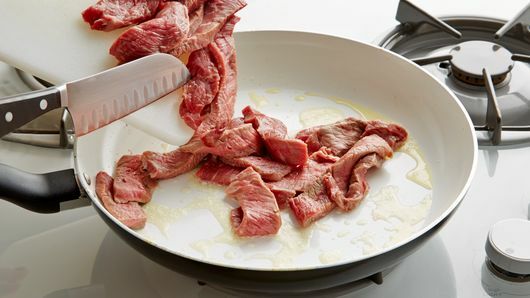 Add beef, salt and pepper; cook 5 to 7 minutes, stirring frequently, until tender and browned. Stir in vegetables. Keep warm. Cut French loaf in half crosswise. 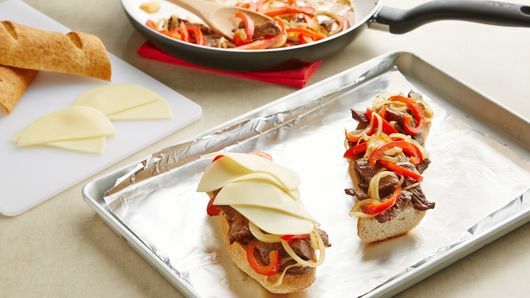 Spoon beef-vegetable mixture on bottom half of loaf; place on broiler pan. Top with cheese slices. Broil 2 to 3 inches from heat until cheese is melted. Top with French loaf top. Cut into 4 sandwiches. 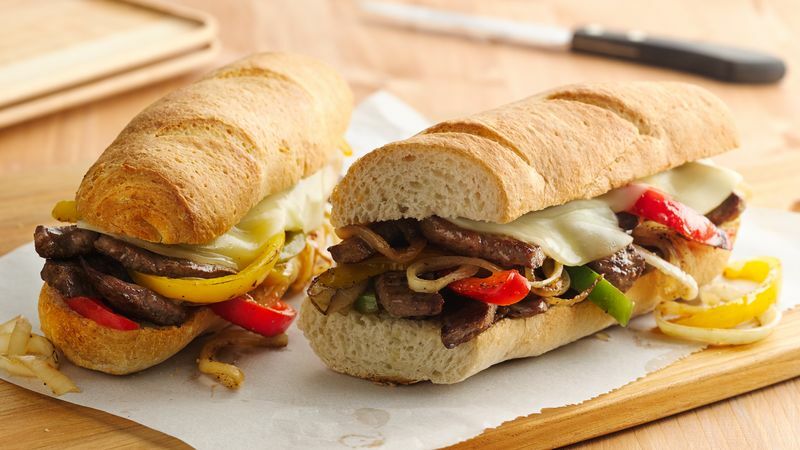 American or mozzarella cheese can be used instead of the provolone. Green bell pepper or a combination of red, green and yellow can be used instead of just red.